How many times have you watched food go to waste and wished it could be given to someone in need? 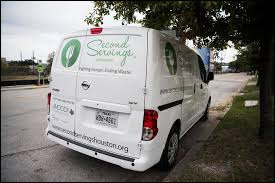 Now it can through a partnership with Second Servings of Houston, a local non-profit organization whose goal is to alleviate hunger and reduce waste by collecting unused food from large institutions and delivering it in a quick and safe manner to approved charitable meal sites. Texas Children’s Hospital recently joined forces with Second Servings and with the help of Morrison Healthcare, our contracted food service provider, donated more than 500 pounds of food last month. Second Servings of Houston accepts most foods with the exception of raw seafood or anything containing alcohol. For more information about what can and cannot be donated click here to visit the Second Servings of Houston website.